World Land Trust (WLT) has donated funds to help create San Isidro Amphibian Reserve in the western highlands of Guatemala. The reserve measures some 2,070 acres (838 hectares) in total, and funding from WLT will purchase an area of 816 acres (330 hectares). The land purchase has been handled by WLT’s conservation partner in Guatemala, Fundación para el Ecodesarrollo y la Conservación (FUNDAECO). Located in Huehuetenango Department, the reserve is a priority for conservation because it is an Alliance for Zero Extinction (AZE) site, and a vital habitat for endemic and highly threatened amphibians. The forests of the western highlands of Guatemala are exceptionally biodiverse but population growth and subsistence agriculture are driving deforestation in the region. A recent amphibian assessment for San Isidro identified several amphibians classified by IUCN as Critically Endangered: Finca Chiblac Salamander (Bradytriton silus), an endemic from Cuchumatanes; Plectrohyla ixil, an endemic from Guatemala-Chiapas; Hartweg’s Spikethumb Frog (Plectrohyla hartwegi); and, pictured above, Black-eyed Leaf Frog (Agalychnis moreletii). Also recorded was an endemic frog, Craugastor xucanebi, classified by IUCN as Vulnerable. 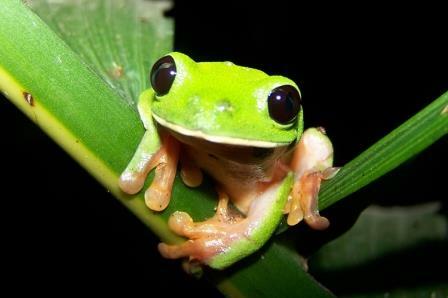 FUNDAECO has been committed to conserving amphibian AZE sites in Guatemala since 2009. In that year a survey by FUNDAECO biologists of all amphibian AZE sites in Guatemala confirmed the presence of endemic and highly threatened amphibians, sometimes surviving in very small patches of forest, caves, or small watersheds. 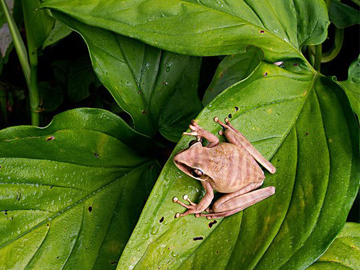 Following the survey FUNDAECO launched its Amphibian AZE Sites Conservation Programme. FUNDAECO is now carrying out conservation actions in four AZE sites nationwide and aims to conserve all 12 AZE sites in Guatemala within the next 10 years. WLT’s funding for the reserve came from corporate supporter Puro Fairtrade Coffee and a private donor. 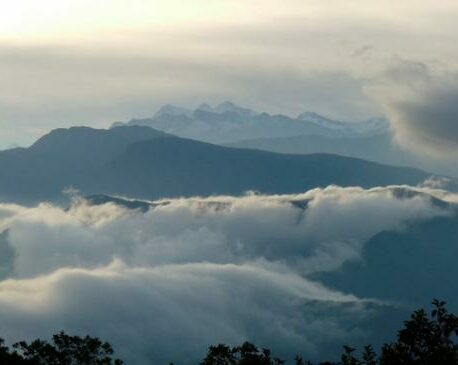 San Isidro is FUNDAECO’s second reserve in the western highlands. In 2014, WLT helped fund FUNDAECO’s first reserve in the western highlands at Laguna Brava, also with the support of Puro Fairtrade Coffee. Help save more threatened habitat in Central and South America by donating to WLT’s Buy an Acre appeal.